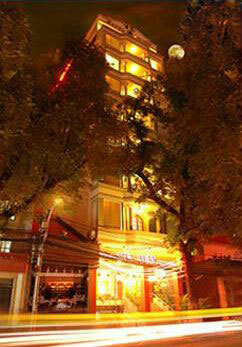 Our mini-hotel is located in district 1- the center of Ho Chi Minh city. Around this area, you can find some remarkable landmarks within walkable distance - Ben Thanh market, Notre Dame Catheral, etc. Surrounding the hotel lie souvenir shops, art galleries, cafeteria and speacially most of the well-known travel agents. They will offer you different tour packages satisfying your utmost adventurous needs. We would like to bring you the most reasonable price accomodation with excellent room condition in term of good services and cleanliness. All of our rooms are maintained and cleaned in daily basis during your stay. All rooms are equipped with air-conditioner, refrigerator, cable TV and private bathroom with hot shower. With our enriched experience in serving customers from around the world, who came to Vietnam for various purposes such as travelling, business, researches or studies,... we would bring you the most pleasant stay in Ho Chi Minh city.